Well not really. We’re only doing Saturday errands but for them it’s another adventure of a lifetime. 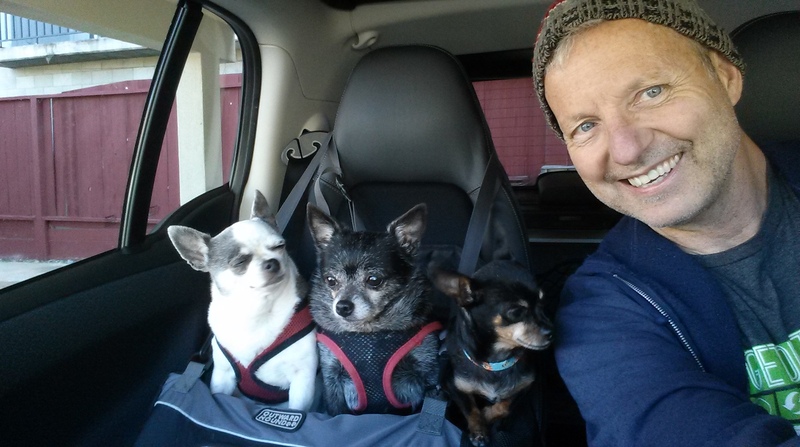 This entry was posted in Best Friends for Life and tagged Chihuahuas, East Oakland, road trip, saturday, Smartcar. Bookmark the permalink. Hi John, love your sweet dogs! They remind me of Harley, Teddy, etc., and other Mill Dog rescues who I follow on FB . Thank you. All three are rescues, and my babies.